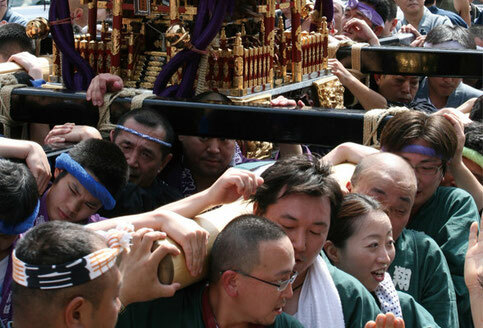 The Sanno Matsuri is conducted in years ending in even numbers by the Western calendar. It takes place around June 15 in alternate years(even years). No festival is held in the odd-numbered years. 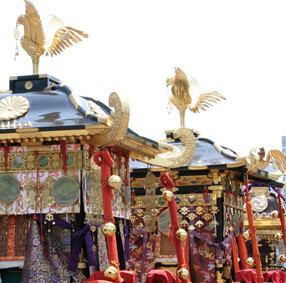 The main feature of Sanno Matsuri is the Jinkosai which is a procession of about 500 people with floats and mikoshi(portable shrines). 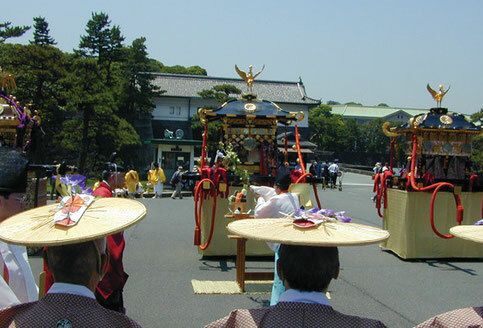 The procession starts from Hie Shrine at 8 a.m. and goes to the Kokuritsu Gekijo(National Theater), Sakashitamon Gate of the Imperial Palace, Tokyo Station, Nihonbashi Hie Shrine, Kyobashi, Ginza, and Shinbashi and returns to Hie Shrine at 5 p.m.
During the Sanno Matsuri, various traditional events are held at the Hie Shrine. 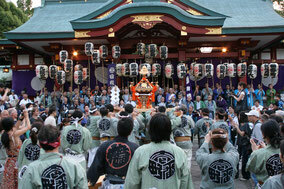 Tea ceremonies and Shinto music and dance performances are conducted at Hie Shrine. 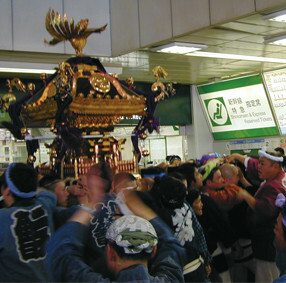 Sanno Matsuri is one of the major Shinto festivals in Tokyo, along with Kanda Matsuri, Fukagawa Hachiman Matsuri and Sanja Matsuri. 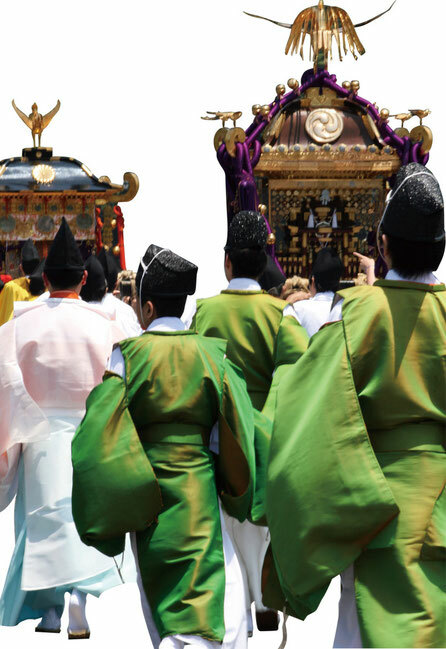 These four festivals in Tokyo are considered as one of the three greatest festivals in Japan along with Kyoto Gion Matsuri and Osaka Tenjin Matsuri. 3 minutes walk from Tameike-Sanno Station of Tokyo Metro Ginza Line, Tokyo Metro Nanboku Line. 5 minutes walk from Kokkai Gijido Station of Tokyo Metro Chiyoda Line.